To minimize user interaction, Kanboard support automated actions. Each project has a different set of automatic actions. 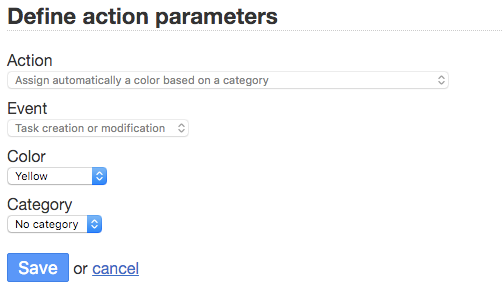 The configuration panel is located on the project listing page - just click on the link Automatic actions. Click on the link Add a new automatic action. Let’s say we have two projects: “Customer orders” and “Production”. Once the order is validated, swap it to the “Production” project. Let’s say we have two projects: “Ideas” and “Development”. Once the idea is validated, swap it to the “Development” project.